Shopping vintage can be a bit of a chore if you don’t know what to look for and where. It might not look like much, but currently this dilapidated, yellow door is the gateway to my favourite hang out. I love nothing more than grabbing a truck-stop coffee from the petrol station across the road and then stepping inside that murky, sunshine portal. It’s a moochable Aladdin’s cave of thingy-ma-jigs, what nots, bits and bobs from time of yourn (and other classic periods) as well as what seems to be an infinite supply of chairs, honestly you name an occasion, they’ve a chair to match it! This diamond in the rough is perfect for an interior design wannabe (like me) striving to manage an air of champagne lifestyle but on no more than a lemonade budget. 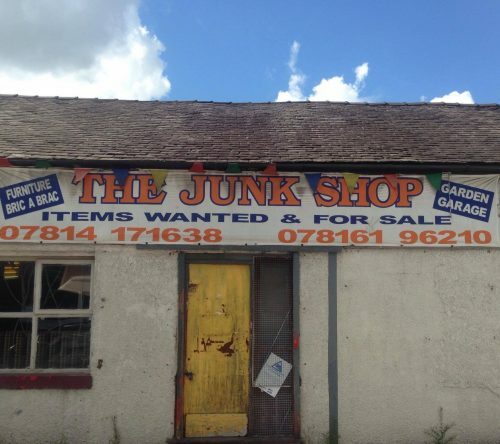 But, don’t worry if you’re not in the catchment area of ‘Faye’s Junk Shop’, the UK is bejewelled with 100’s of these places, waiting for you to discover them. A quick google search helped me find those yellow doors however, you can always check Facebook too which hosts a plethora of groups and pages all showcasing similar vintage finds and bargain buys. 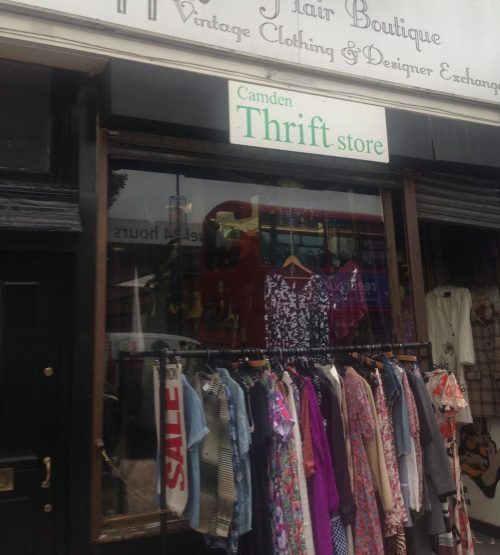 Another gem, is a little vintage clothing store ‘Camden Thrift Store’ ,in our family favourite, Camden Town (daan saaf).Theres no end to the outfit montage fun you can have in this place and the owners a ball too; she will happily help you piece outfits together, with a little bit of cheeky banter thrown in for good measure. Well first you need to decide the purpose of what you’re in search of. 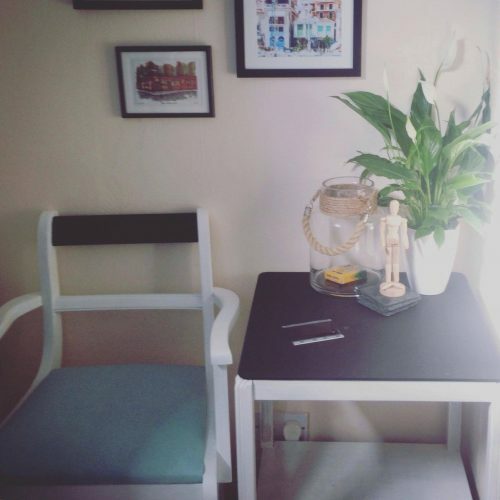 Are you looking for a project to fill your time, a profit from buying cheap and selling on or a personal item to meet a need; a chair to fill an empty corner or a bespoke outfit for the weekend. PROJECT: It’s very easy to get lost in the idea of a project. Be realistic, buy small and don’t over commit. Check out our post on Mood boards to help you with your prep. PROFIT: Search online to see whats on trend and selling high. Schpock, Instagram & Ebay are good for this. Remember buy low, sell high. So, don’t let your heart run away with your wallet. To make a profit you need to buy with logic not sentiment! PERSONAL: Set out with a look and budget in mind and then shop around. If you’re looking for a stand out ensemble, there’s no reason why you can’t mood board your outfit ideas too, until you find that perfect arrangement. Thrift stores and Charity shops are great places to find iconic pieces of clothing, that you’re guaranteed no one else will have. Now go forth and shop! If you’ve any tips on vintage shopping and upcycling or want to share your project successes (and fails) with us, email us at: enquiries@booberrit.com we can’t wait to hear from you! Previous Post Mum Guilt: Will He Ever Forgive Me?